Mayor Ed Murray says he believes both men shot by police in Louisiana and Minnesota would still be alive had they been white. As I have said before, if we are to engage in a serious discussion about racism, we must recognize that the police are on the receiving end of the failure of so many systems to deal with racism; schools, mental health, foster care. As I have said before, the stigmatization of any group including police officers leads to violence. The death of police officers in Dallas is a tragedy for the officers, their families and all of us. It is only by building bridges between communities of color and the police that we can finally build the trust that will bring us together in our stand against racism. The men and women I have come to know in the Seattle Police Department are committed to that challenge. As Mayor I want our officers to know I am committed to their safety and again thank them for the service they provide to the people of Seattle. 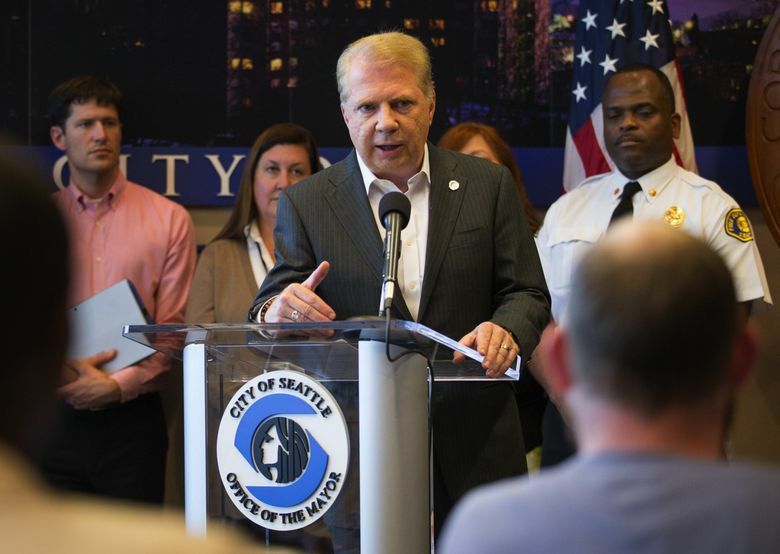 Mayor Ed Murray, reacting Thursday to the police shootings of two black men in Louisiana and Minnesota, said Seattle is in a stronger position on police reform because of the city’s 4-year-old agreement with the U.S. Justice Department to curb excessive force and biased policing. Speaking at a late-afternoon news conference, during which he said he believes both men would still be alive had they been white, Murray revealed new details about police-accountability legislation he plans, subject to the approval of a federal judge, to introduce to the City Council. Murray said all people of color are feeling “pain and the fear and anxiety” in the wake of the police shootings. He reiterated previous comments that the “greatest challenge” faced by the city — and the nation — is racism. 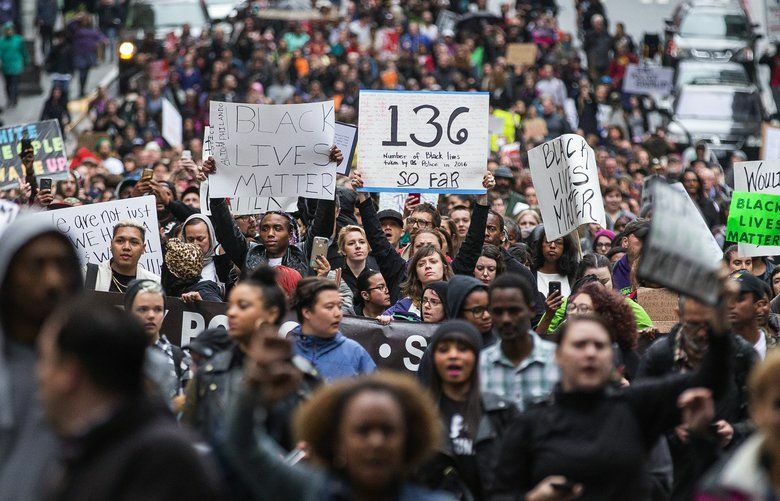 “That is why in the city of Seattle we must get police reform right,” said Murray, who noted the need for stronger civilian oversight. The city is set to go before U.S. District Judge James Robart on Aug. 15 to seek permission to introduce long-delayed legislation that Murray hopes will lead to the creation of an independent civilian inspector general with broad powers to oversee conduct throughout the Police Department. Robart is presiding over the federal reforms, which already have led to sweeping new policies, including policies on use of force, crisis intervention and de-escalation practices. Murray said he envisions the inspector general would be chosen along the same lines as the process used in the hiring of Police Chief Kathleen O’Toole in 2014, which involved two layers of citizen input before three names were submitted to Murray. The office would have a separate budget, and the inspector general could only be removed by the mayor for cause with the City Council’s assent, he said. He also pledged the role of the civilian director of the Police Department’s Office of Professional Accountability (OPA), which handles internal investigations, would be strengthened. Murray has come under fire after he decided last week to not extend the appointment of OPA Director Pierce Murphy for a second three-year term. He said his decision stemmed from likely changes, under the legislation, to the OPA. Murphy, whose disciplinary actions have repeatedly been criticized by the president of the Seattle Police Officers’ Guild, agreed to remain on an interim basis, but has been told he would have to reapply for his job. Murray said he’s confident that if Murphy responds to an officer-involved shooting, as his job allows, officers will cooperate, despite their union’s hostility to Murphy and his lame-duck status. O’Toole, he said, would make sure that happens. The mayor reiterated his support for placing body cameras on Seattle patrol officers, calling them an “essential item” that can de-escalate tensions. The department plans to begin using body cameras by the end of the year, adding them incrementally. Murray said he is also working on the structure of a new citizen oversight board, with members likely chosen by the mayor and City Council, possibly with some selected by council districts. The current board, the Community Police Commission set up as a temporary body as part of the federal agreement, is chosen by the mayor and confirmed by the council. Murray also said he supports a push for an initiative that would change state law and make it easier to prosecute police officers who kill in the line of duty. Information from Seattle Times archives is included in this story. Steve Miletich: 206-464-3302 or smiletich@seattletimes.com.